Hello, my name is Ed Smith, and I am a truck accident lawyer in Antioch. I’ve been privileged to practice law for 35 years. During that time, I’ve seen firsthand what truck accidents can do to people’s lives. The magnitude of such accidents can result in life-altering injuries, medical expenses and the inability to work. It is important to make sure that injured victims gets the compensation they deserve. Without it, the individual or his or her family may face daunting odds. I’d like to discuss what you need to know about truck accidents and how the law works to help you. Antioch has a remarkable network of land-based transportation routes. State Route 4 connects with the Bay area road network via Interstate 80 West and with Stockton when traveling eastbound on 80. State Route 160 connects the city of Antioch to Sacramento. Trucks routinely travel these corridors, and unfortunately, truck accidents do happen. As a community, we work together to keep our roads safe. When accidents happen, we are here to help you by working to get the compensation you need and should receive. An analysis of truck accidents in California, including Antioch, follows nationwide trends. Nationwide, fatalities in an accident involving a big rig occur most often in passenger vehicles. This is due to the size and dynamics of large trucks. Of these, the total number of fatalities in California due to truck accidents was 222, which places the state in the number two position for 2015 right behind Texas. Interpreting these results is not difficult. If there is a collision between a vehicle weighing a maximum of 80,000 pounds and one that weighs approximately 4,000 pounds, it is easy to understand how the occupants of the lower weight vehicles are killed more often. 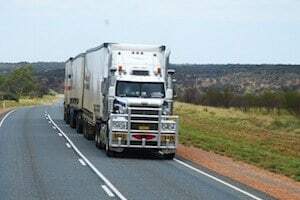 According to the Insurance Institute for Highway Safety, truck accidents happen most frequently on weekdays between the hours of 12 noon and 3:00 p.m. with the lowest number of crashes between 6:00 p.m. and 6:00 a.m. Sixteen-percent of deaths occurred in single vehicle accidents. Semitrucks accounted for 75 percent of crashes between a truck and a passenger vehicle, while the remainder occurred when a single unit truck was involved. Interstates were the site of 30 percent of the truck accidents in California, while major roadways accounted for 53 percent. Minor roads accounted for only 14 percent of truck accidents. Reasons truck accidents occur are varied. Only 8 percent of all truck accidents are caused by drunk driving while 3 percent result from the use of illegal drugs. Prescription drugs account for 23 percent of truck crashes with over-the-counter drugs causing 17 percent. Truck driver fatigue is a causative agent in 17 percent. Let’s discuss negligence in a truck accident. As with any other type of accident, negligence exists when a driver fails to take the proper precautions necessary to assure safety on the roadway. This means driving at safe speed, maintaining a safe distance from other vehicles, maneuvering a vehicle carefully and making sure the vehicle is maintained. Truck drivers either work as independent contract workers or are employed by trucking companies. Either way, trucking companies are obligated to make sure that drivers have adequate training, clean driving records and ensure drivers maintain their vehicle as well as follow federal and state regulations. One frequent question I hear is who is responsible for my injuries. It depends. If a trucker failed to obey the rules of the road and acted in a negligent manner, he or she is liable. However, there’s more to this answer. Let’s say the trucker worked for a company. In this case, the trucking company may share the trucker’s liability. The reasoning here goes to a doctrine of law called Respondeat superior or vicarious liability. Under this tenet, an employer holds responsibility for the acts of his or her employees. When a lawsuit is filed, the employer as well as the employee may be named as the responsible parties. Liability goes hand in hand with evidence that negligence occurred. That is why my law office uses accident reconstruction reports to substantiate negligence. We interview witnesses before time mitigates memory. We also review police records and interview those law enforcement personnel who were involved in police investigations of the accident. We examine trucking company records to see if the company hired an unfit driver or failed to provide adequate training. In addition, we review driver and maintenance logs the company is required to maintain. Our investigators look to the “black box” or electronic onboard recorder. This device provides information such as how fast the truck was going when the accident happened and other pertinent details. It also shows how far the truck was driven, providing details on whether the trucker took mandated rest periods. The accident scene is critical to any investigation. It provides physical evidence such as tire tread marks. These marks are important in measuring the distance it took for the truck to stop and show other details about the accident. We also examine the truck itself to determine equipment failure or other examples of fault. Once our investigation is complete, we begin the process of obtaining maximum compensation for your case. Truckers and trucking companies usually have adequate insurance. Due to the extent of medical expenses often needed after a truck accident, we look to the complex issue of insurance coverage by both parties. If both the trucking company and the driver are named in a lawsuit, insurers for both parties may shoulder the cost of damages. Truck accidents can be devastating physically, financially and emotionally. Accident victims need time to heal without worrying how they can afford to pay medical bills or make up for lost wages. The Ed Smith law firm helps not only by working to obtain maximum compensation but by taking the burden of what needs to be done off the victim’s shoulders. We let you concentrate on getting well, while we deal with everything from insurance company inquiries to taking depositions. I’m Ed Smith, an Antioch truck accident lawyer. If you or a family member has been seriously injured in a trucking accident, please call me anytime at (925) 428-5220 for free, friendly advice. I belong to the Million Dollar Advocates Forum in California. Forum membership is limited to attorneys who have obtained settlements and verdicts of $1 million or more. You are welcome to review my Past Verdicts and Settlements here. See my client reviews on Yelp, and Avvo. As the founder of www.autoaccident.com, I invite you to visit my website dealing with personal injury in Northern California.